Here at Providence Equestrian Center we have enjoyed hosting summer horseback riding camps for the past 20 years. Campers experience such excitement and joy with the arrival of their camp week! Our goal for the camp is for everyone to have fun and learn in a safe environment. Each camp day provides a horse riding lesson and lessons in horsemanship. 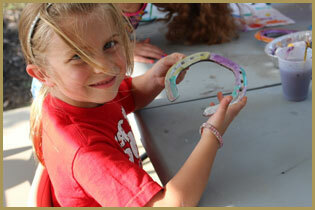 We include camp activities such as crafts and scavenger hunts. At week's end, the campers learn how to prepare for a horse show and are able to demonstrate what they learned. 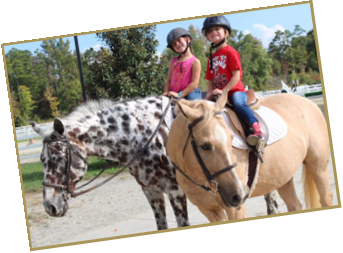 Campers are placed in their lessons based on age and riding experience. Many campers return for additional weeks each summer and following summers. No experience is necessary. All campers are divided into groups based on their age and riding experience. Educational, Fun, and Safe! Registration begins January 2019. Register early to ensure camp week selection. Camp registrations are nonrefundable, nontransferable. 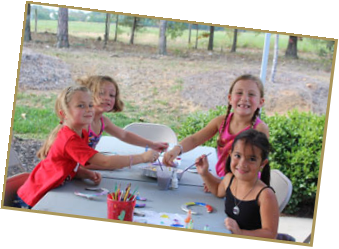 PEC hosts birthday parties, family reunions, corporate outings, and scout troops. The special events are held on Saturdays. Parties are 11/2 hours long and have riding and crafts. 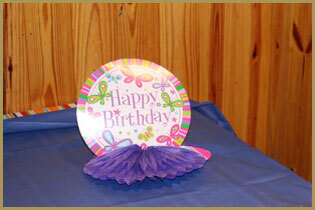 Birthday Party costs are $250 for the birthday person and 4 guests. $150 deposit holds the date. 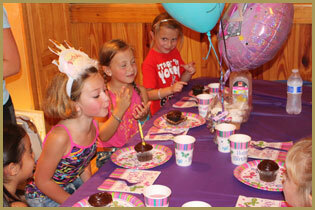 Larger parties are welcome at an additional cost of $25 per guest. Arrangements for other special events are done on an individual basis. Come Celebrate with us at Providence!